Set goals in 2012! Watch them manifest with 6 easy steps! Your car is packed with all you need for your road trip. From Olumo Rock in Abeokuta to Obudu Cattle Ranch in Calabar, you’re going to see it all. You put the car in gear and zoom off. A while into your trip, you find yourself at an intersection that you’re not familiar with. You reach for the passenger seat; open your suitcase, only to find out that you have forgotten your map at home. You shrug, throw some groundnut in your mouth, take a left turn and keep going. Unfortunately, you never reach your destination. Many of us treat goal setting the same way. We dream about where we want to go, but we don’t plan on how to get there. It is not enough to desire something or to talk about it; you have to take certain steps to make that thing happen. When setting goals it is very important to remember that your goals must be consistent with your values. Don’t waste time updating your facebook or twitter page with New Year resolutions. 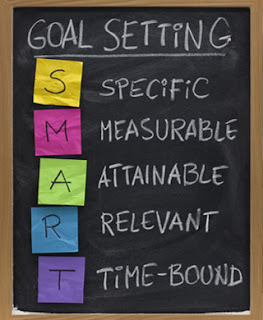 Set goals in 2012 and watch them manifest with these 6 easy steps. You cannot buy a $3 million jet if you only make $800 in a month. By the time you pay rent, buy groceries, fill your gas tank, pay the energy bill, et al…you know what is left. Do not sabotage your own hardwork by aiming for the impossible. Eliminate any goal that contradicts your other goals. When you set goals in all these areas, it will change your everyday living and ensure a more balanced life. The purpose of writing your goals is to create instructions for you to follow. Put your subconscious mind to use; it is an effective tool. Its function is to carry out your guidelines. The more positive instructions you give your mind, the more positive results you will get. Think positively in your everyday activity. Be specific! Again, give your subconscious mind something to work on. The more information you give it, the clearer the outcome becomes. Forget the moon; shoot for the stars! Know what your ultimate goal is and aim for it. If you don’t make it, you would still be a better person because you would have developed skills applicable to other areas of your life as you move up. When you write down your goals, you create the roadmap to your success. Although writing sets the process in motion, it is imperative to review your goals frequently. The more focused you are on your goals; the more likely you are to accomplish them. You might find yourself revising goals when you review them—circumstances can change your goals. Don’t consider this a failure; consider it a success that you had the insight to realize something changed. THOUGHTS: I WROTE MY GOALS DOWN, WHAT NEXT? Point 1: Unless someone is critical to helping you achieve your goal(s), do not share it with him or her. The negative attitude from people you share goals with can drag you down. Be mindful of those you share your goals with. Point 2: Review your goals daily. Go through your list of goals; read them aloud. Visualize the completed goals—see that new office, traffic from the window. Say positive things to yourself. Each time you are to make a decision, ask yourself this: “Will this decision take me closer to, or farther from my goal?” If your answer is not the latter, you are good to go. Best of luck! See you in 2012! Wow! This is quite insightful. Everyone must read this.